Would it surprise you to learn that Abyssocucumis abyssorum comes from the Abyss? 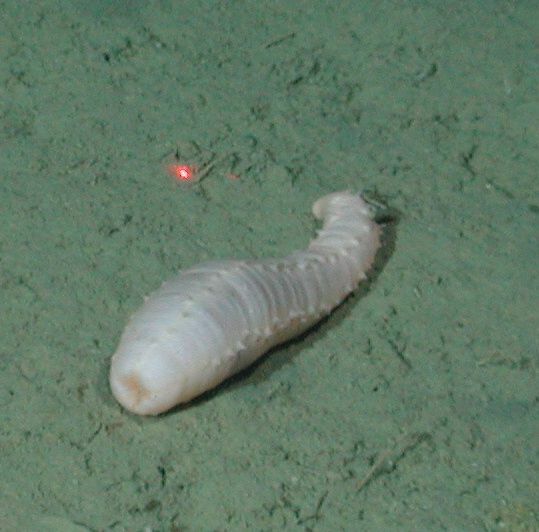 Or that this big, wriggly maggot is a Sea Cucumber spotted at a depth of 3,000 metres (9,800 ft)? What happens next, I wonder? Will it spin a cocoon and later emerge a beautiful swan? Sea Cucumber cares not for your "beauty" and your carefully constructed standards. Sea Cucumber is Sea Cucumber. And there's an end to it. Well, my heart definitely belongs to the uglies.